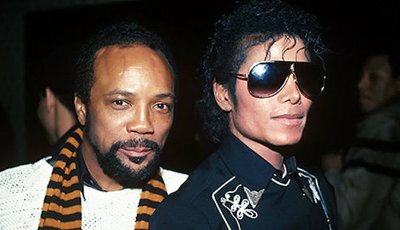 The lawsuit said that MJJ Productions and Sony Music have been making large sums of money off of Jackson's music, much of which was produced by Jones, while "disguising" the owed royalties. Jones was particularly upset over remixes and edits that were made without his approval when contracts said that he would be the first person that the work would be offered to. Examples would be the deluxe version of Bad and the reworked music used by the Cirque du Soleil. Jones' initial suit claimed $30.3 million in unrecognized royalties while the Jackson estate said that they owed him less than $400,000. Jackson's estate plans to appeal. Jones and Jackson first worked together when Quincy was the music supervisor on the film The Wiz. Their production affiliation started with Jackson's solo breakout album Off the Wall (1979) and continued through Thriller (1982) and Bad (1987). The three album collaboration produced seventeen top ten hits including nine number 1's.